It’s a Saturday night, and you’re trying to figure out what to do for dinner. Getting a table for two at Pasquale Jones, Lilia, or Roberta’s is about as likely as finding a rent-controlled apartment in Williamsburg. But that doesn’t mean you have to resort to yet another night sitting on your couch with disappointing delivery pad Thai. Instead, why not make a restaurant-caliber dinner at home with these easy, five-ingredient recipes, straight from NYC’s top chefs? From appetizers you can put together in under 10 minutes, like High Street on Hudson chef Eli Kulp’s burrata, tomato, basil & honey number, to elevated breakfast options like Cronut maestro Dominique Ansel’s perfect scrambled eggs. Place the mozzarella on the bread. Grate bottarga over the mozzarella with a microplane. At the restaurant, the kitchen roasts the head of cauliflower whole, in a 750° F wood-burning oven, allowing it to char quickly without overcooking. In the home kitchen, you could sear the cauliflower in a very hot cast-iron pan, or otherwise break the cauliflower head down to quarters and roast under a broiler. Slice fennel thinly; remove the top and bottoms from the oranges; slice across the equator to create “pinwheels” and reserve. 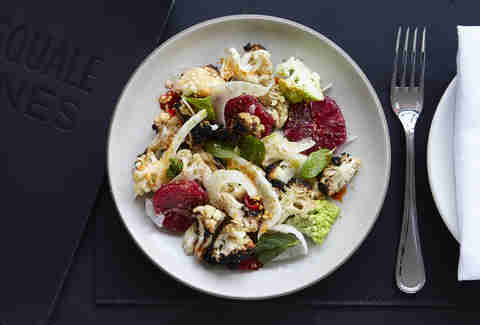 In a large mixing bowl, place the cauliflower, fennel, mint leaves, and blood oranges, season with a pinch of Maldon salt and a touch of Calabrian chili oil. Arrange on a plate, and finish with the juice of half a lemon, a drizzle of extra virgin olive oil, and if desired, additional hot pepper. Whisk eggs and flour together. Add buttermilk. Fold in potato and season with salt. Fry bacon, and save the fat. Heat up a pan with the bacon fat and sear potato pancake until golden brown. 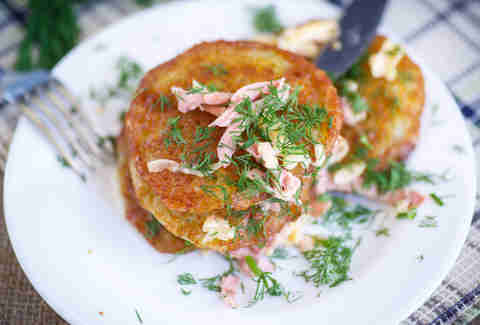 Serve with lingonberry or apple compote. In a medium pan, sauté the shallots in butter until translucent. Beat eggs in a bowl and season with salt and pepper. Turn heat to low, pour the eggs into the pan with the shallots and cook slowly over low heat while continuously stirring gently with a wooden spatula. You’ll see the eggs are gradually getting thicker but are still creamy and fluffy. Add a large spoonful of creme fraiche to the pan. Continue stirring gently until incorporated, then remove pan from the heat. 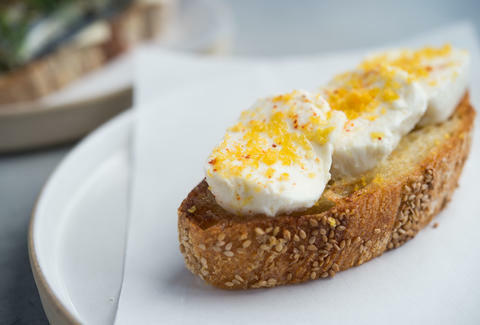 Serve immediately on buttered toasted bread with a sprinkle of chives on top. Give light gashes to both sides of the foie gras. Heat a non-stick pan. When it’s very hot, place the foie gras and sear on both sides until it turns a bit crusty. Sprinkle more salt and pepper if you prefer. 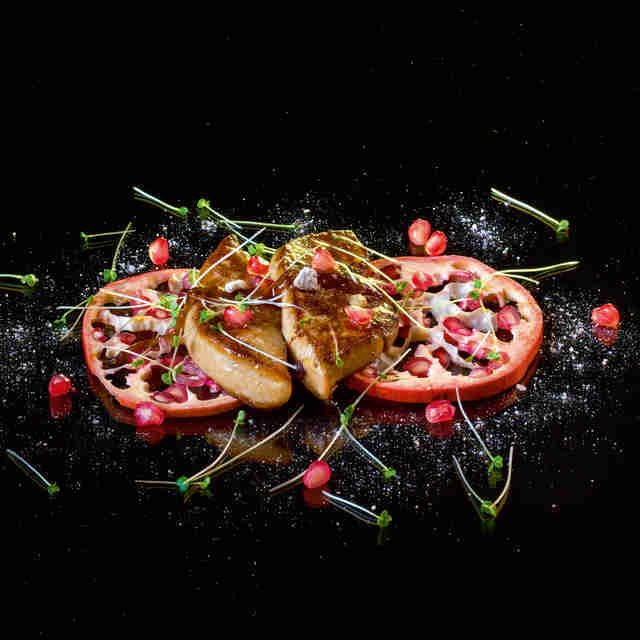 Place the seared foie gras on a platter. Sprinkle powdered anardana churan and fresh pomegranate pearls on top. Optional: Garnish with cress. Serve. Scoop out the insides of the avocado into a bowl. Season with lime juice, salt, and olive oil. Mash into a paste, then pass through a fine sieve or chinois strainer, if you have one. Slice rhubarb into quarter-inch pieces. Season with salt and sugar and let pieces macerate. 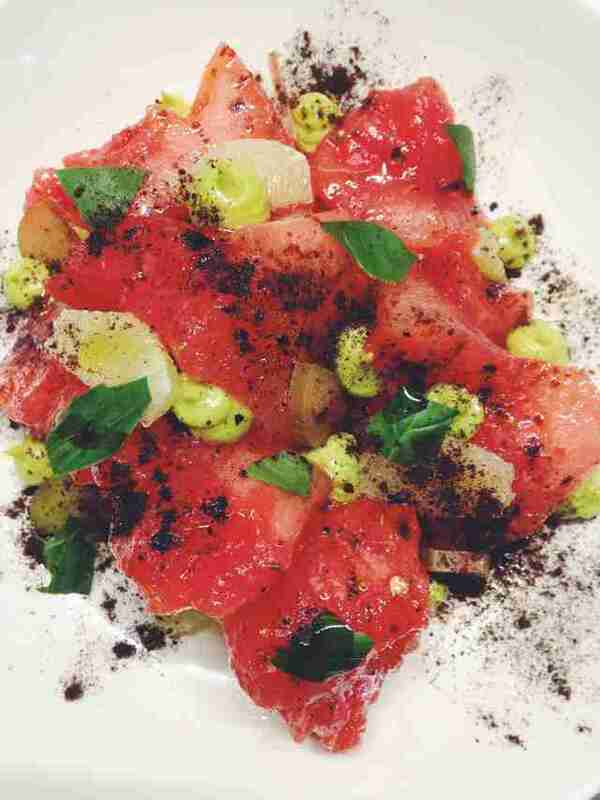 Place your frozen watermelon and macerated rhubarb pieces into a chilled bowl and dress in olive oil and lime juice. Dot 4 or 5 dollops of the avocado paste around the mixture. Top with basil. Break up the black lime into pieces. Grate over the salad, and finish with a final drizzle of olive oil. 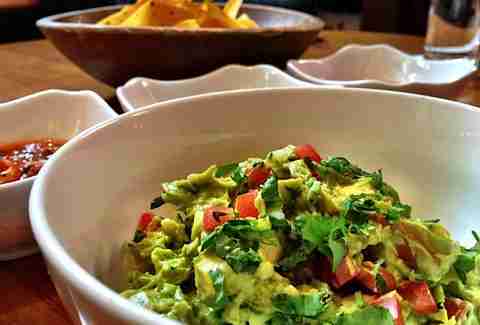 Mash the jalapeño, white onion, cilantro, salt & lemon juice together in a mojacate or mixing bowl, fold in the avocado and mix till chunky. Put some olive oil and salt and pepper on the bread. Lay tomato slices on the bread. With a spoon, break up the burrata into chunks and place over the tomato. 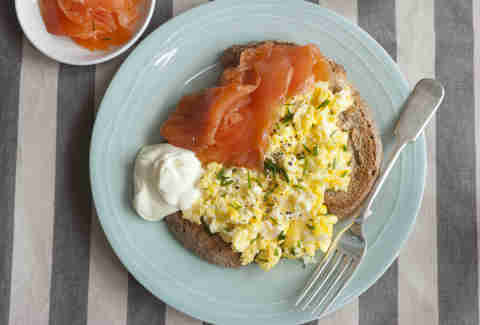 Drizzle the orange blossom honey over the cheese and finish by garnishing with the basil leaves and a flaked sea salt. Put first four ingredients in food processor. Pulse until fine but not a paste. Put mixture in mixing bowl. 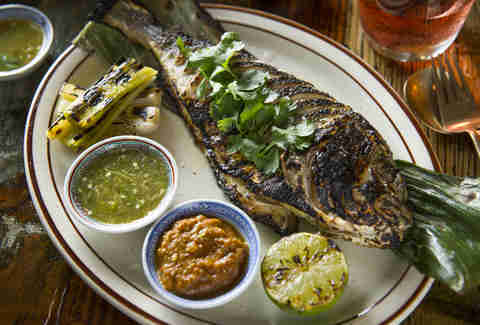 Add last lime juice and fish sauce. Claudine Ko would gladly stay home and make all these dishes for one multi-course meal. Follow her on Twitter (@luciden) or Instagram (@iyamclaudine).